Originally trained as a primary care physician at the National University of Natural Medicine (formerly NCNM) in Portland, Dr. Herman has since specialized in the areas of Functional Medicine, Regenerative Medicine, hormone health, and natural aesthetic procedures. Her preferred treatment modalities include: platelet-rich plasma injections, intravenous (IV) therapy, aesthetic laser, nutrition and lifestyle medicine. Dr. Herman completed a 1 year post-graduate residency with a focus in Regenerative Medicine (i.e., Prolotherapy & PRP). Originally from the Bay Area, Dr. Herman received a BA in Psychology and graduated with honors & research credentials from University of California at Santa Barbara, California. She used her degree to work with at-risk youth as a mental health counselor. It was with that experience she realized the deep inter-connectedness between physical, emotional and mental health. 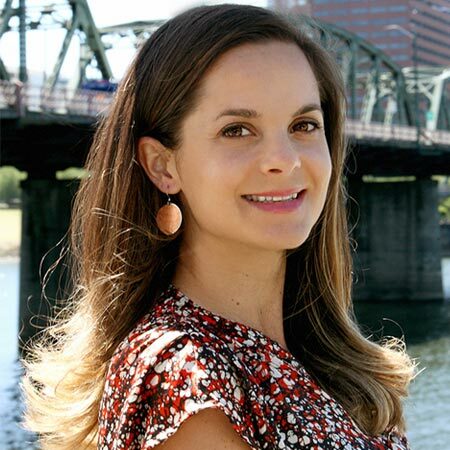 With a lifelong passion for sports & health, Dr. Herman journeyed to Portland in 2004 to pursue a career in fitness and nutrition, earning certifications in Pilates, Personal Training, Nutritional Therapy, and Barre 3. Working six years in the wellness industry, she gained integral experience working with injuries, weight loss, and health optimization. Her passion for health and wellness led her to pursue a naturopathic doctorate, where she was immersed in the philosophies and techniques used in both conventional (current medical model) and natural medicine. Naturopathic school confirmed for her what she had long suspected but never saw acknowledged in conventional medicine…provided with the right “recipe”, our body has an amazing, innate capacity to heal and thrive. Dr. Herman has dedicated her studies and practice to learning all the various “ingredients” which facilitate that process. Dr. Herman resides in Portland with her 2 children, husband, and dog. She spends most of her free time enjoying their company. Time to herself includes running, soccer, Yoga, Pilates, and reading. 1 - Be Proactive, not Reactive. 2 - Nourish your body with real food. 3 - Exercise in a way that makes you happy. 4 - Laugh loud and often!